Whether you’re a beginner or at advanced level, we can develop a special offer to suit your needs. Broad range of choices from choreographing a first dance for your wedding or a show for corporate events to hen parties, surprise birthday parties or general dance practice, we can provide any class, workshop and performance based on our existing portfolio of dances. Private lessons provide a most individual way to develop your dance technique in a warm, unshared and friendly environment. If you don’t feel like a change of dance partners is for you – private lessons are what you are looking for! You will receive professional instruction & immediate feedback from an experienced tutor! You can book Ezatollah and his partner and female teacher Aija Konisevska for private classes, arrangements and workshops. Book us in good time and give to your guests and yourself an amazing experience that you will never forget! 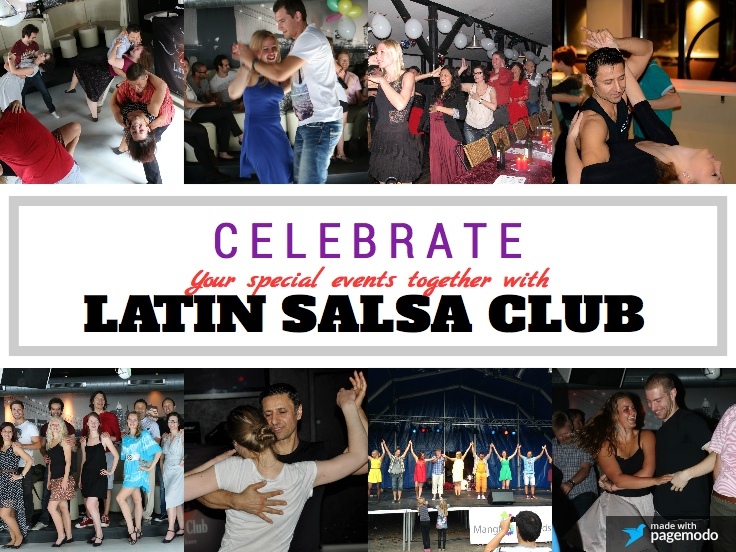 – Salsa class: length and content to be discussed before the event. – Salsa show: performance, usually after the class, to give an impression of what a salsa dance looks like. Whether the show or the class comes first, depends on the occasion and accordingly with the client’s preferences will be arranged before the party. Feel free to contact us by filling out Price Request Form to find out more about the prices!